Professional looking results. Work on big jobs or little jobs. All kinds of repairs finished fast. Polite and experienced workers. Free estimates. Cost-effective options. Your satisfaction is guaranteed. Interested in getting someone put up some brand new walls or ceiling at your place? Or it could be you have a wall or ceiling that doesn’t look great any longer. You would like it repaired. This business entails putting in and renovating interior walls and ceilings. They accept jobs of many sizes – modest residential maintenance, new houses, basement upgrading or small commercial projects. For a restoration assignment, they patch what they can patch and repair. Other sections should be cut out and replaced. They work in houses, commercial properties and multi-unit buildings. 1. Delivering the drywall to the work location. 2. Installing each sheet to the walls or ceiling. 3. Cleanup and hauling away trash and unused product. 4. Taping the joint seams and putting on joint compound. After those five jobs are done, you are able to start painting. Most people have them complete all five steps, but a few folks only want them to do a couple of the steps. For instance, in case you just want the product brought to your home, and you want to do all the other work, they can do just the delivery. Or some property owners already have their sheetrock up, they just need someone to tape, mud, sand and finish it. So they call. They can also install specialized styles of sheets, such as moisture resistant fiberglass boards for use in tub areas, or boards which will be used to hold ceramic tile. Accidents happen around the house. They get it. 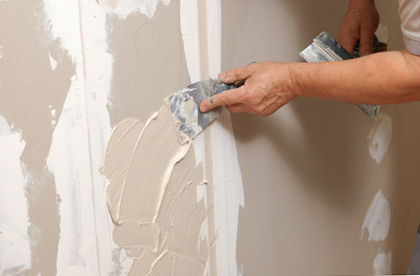 Sheetrock gets damaged by mishaps and by plumbing failures all the time. It is very common for a ceiling or wall to get a hole or get damaged by a leaking water pipe. Some property owners will attempt to correct modest holes on their own. Most modest holes and dents get repaired by using a patch, joint compound and a handy putty knife. Patches can be challenging to put on correctly. A homeowner’s first attempt at a patch sometimes winds up resembling a small bulge when it’s all dry. Holes or other damage in the main spaces of your house should probably be treated by someone with some experience fixing them. It’s hard to make a large replacement patch look seamless. When they’re done, all the replaced work will match the present style of the house. Fixing a simple hole or trouble area. Getting a number of aged or dented interior walls or ceiling restored and all ready for painting. Cutting out and swapping out sections of damaged drywall. Doing bigger scale replacement of a whole room or maybe more. Whatever your upcoming repair task appears to be, they are looking to give you a hand. You may have an option relating to the finish that goes on the new walls. Totally unfinished – just taped, designed for non-finished work rooms or garages. Smooth surface finish – zero added texture, completely ready for painting or wallpaper. Basic texture – can provide some extra depth. Complex texture – hand-troweled and more work to do. Texture matching – make your new surfaces match with your old ones. They will get rid of it for you and change it to a modern finish. And without much of a mess. They can handle your job, from beginning to end. They offer dependable results while charging reasonable rates. They work with the biggest manufacturers, so the products they install at your property will be strong and durable. Their crews do their best to keep the mess to a minimum and protect your house and belongings from dirt and dust. So there is no mess left for you. They know how to clean up after themselves and take away the excess material and trash. The majority of jobs are carried out in single-family residences, but they also work on business and multiple family projects as well. They know you have choices. They hope you will think about working with them. 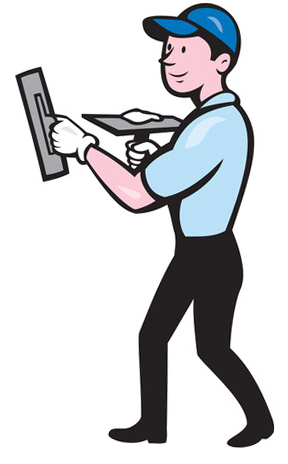 Most jobs are not exactly alike, but they will produce an estimate for your job. Your cost will depend mostly on two factors – how much materials they will use and how many hours it will take them to finish the job. They wish they could drive around to each prospective project site and give an in person quote, but that isn’t typically feasible. However, if you can give them a short phone call, they should be in a position to help you out right on the call. If you would like them to paint your walls and ceiling, they will be pleased to do that too. In case you don’t want them to do it, you could hire a different painter or just paint it yourself. They’ll be happy with whatever you decide to do. They can visit properties all over the central metro such as downtown, City Hall, Central City, Civic Center, Willard, Lacy, Artesia Pilar, Casa Bonita, Logan, Pico-Lowell, Henninger Park, Flower Park, French Park and Washington Square. Call if you live near the suburbs or nearby towns too – Fountain Valley, East Santa Ana, Orange, Northeast Santa Ana, North Santa Ana, South Coast Metro, Tustin or West Santa Ana. They can visit properties all over the central metro including downtown, City Hall, Central City, Civic Center, Willard, Artesia Pilar, Casa Bonita, Lacy, Logan, Pico-Lowell, Henninger Park, Flower Park, French Park and Washington Square.